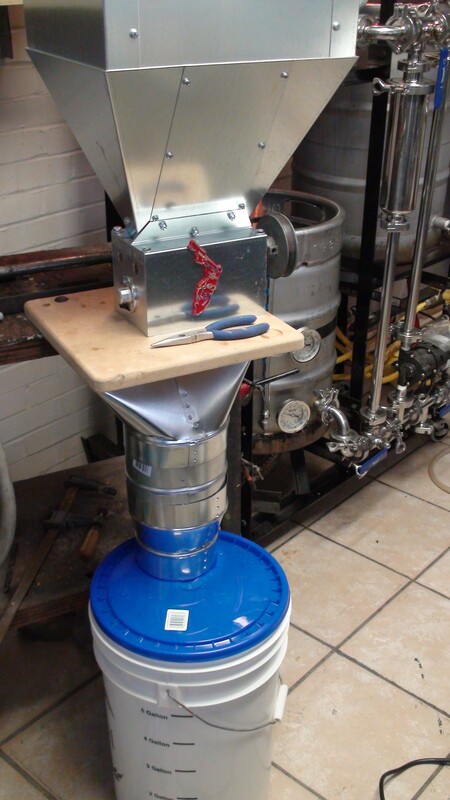 The first time I used the malt mill, the right belt going to the mill kept slipping – milling was slow. And the makeshift shute made a mess. I pulled the mill out more tightening the belt and put together a cool shoot with some ductwork. The other hole in the bucket lid is for a vacuum to get the dust. Previous PostJackie O’s Firefly AmberNext PostNew Hose!